I guess a lot of you guys out there are a lot like me. I bet you all have a multitude of wireless devices connected to your home Wi-Fi network. How did I come to this assumption? Well, you’re here on Geektown, so it seems pretty likely. 😉 If that is the case, than I can also assume you might have periods where your wireless connection might severely bottle neck, slow down or even drop… These are the most common complaints related to wireless networks, and the truth is that there are a multitude of variables that can affect internet speed, wireless signal or both. Here are a few tips I have personally found very effective in improving my signal strength and download speeds on my Wi-Fi capable devices. Before you start pointing your TV remote at your router, I must warn you that it’s slightly more complex than that. Depending on what make or band your router runs on, they have multiple channels. A common 2.4GHz band router has 13 available channels to run on, where as a 5GHz band router has even more. The point here is, if you live in an apartment building you may find that your neighbours wireless networks may interfere with yours. Play around with the channels and find the one you find experience the least interference. If you’re still not certain, there is heaps of free software out there that can assist you. No, that doesn’t mean let Tim Westwood come and add phat tyres to it and give it a paint job (although that could be awesome), but their are mods you can make to help boost your wireless signal at home. For example, a lot of routers allow you to change the stock antenna for a larger one which could not only improve speeds, but also range. You could also upgrade the wireless card (if you have a desktop computer) if it’s starting to age. Finally, you can buy Wi-Fi extenders online for next to nothing, set them up in black spots in your home and watch your signal bars increase before your eye! Seems kinda obvious, but sometimes all it takes to get a good wireless signal is repositioning your router. 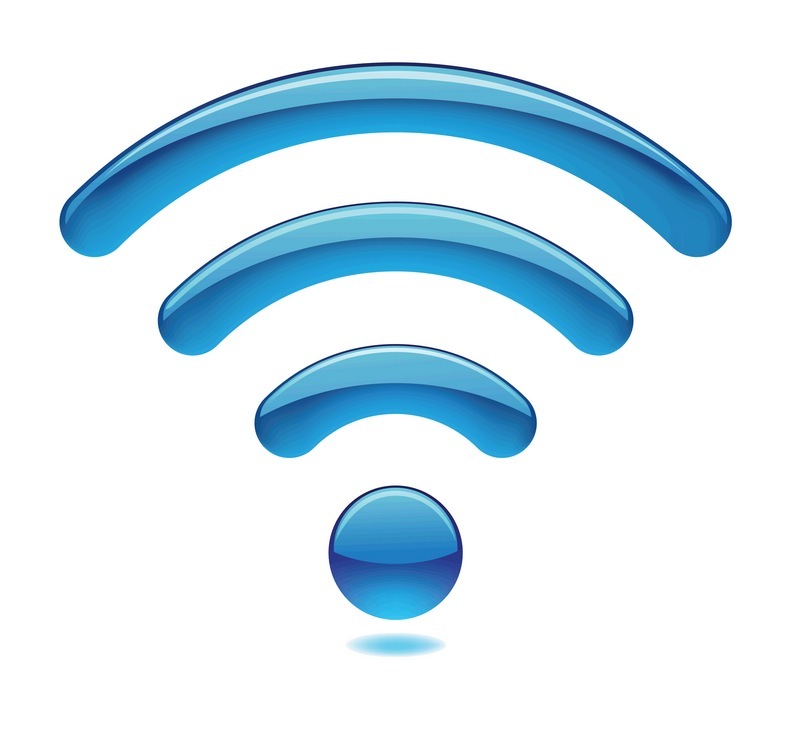 A faster speed can be achieved by moving the router away from areas which could interfere with the signal strength. I know that routers aren’t exactly the most attractive objects in someone’s home, and many people hide their routers behind their TV’s, in cabinets or even on the floor behind a book case. If you feel your router is an eye sore, opt for a new stylish one. 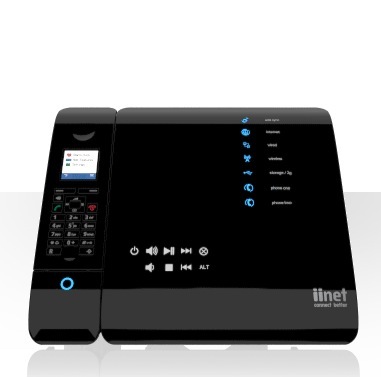 iiNet’s bob hybrid router / home phone / home phone – sleek, stylish and something that you wouldn’t be ashamed of putting in the middle of your living. To achieve an even signal throughout your house, place the router in the middle of your home, away from any walls and obstructions. Like I said earlier, I’m sure 99% of us have multiple devices connected to their home network. The amount of devices connected to your network will affected the wireless speeds each devices receives. Downloading and streaming video, video conference and online gaming all use a large amount of bandwidth – and with the introduction of HD content, HD games and more interactive websites, were using more bandwidth than ever before. Many routers have Quality of Service (QoS) settings which allows your router prioritise applications. When all is said and done, at the end of the day your poor signal strength may come down to one thing – out of date technology. It could be that your internet connection is fine, but the hardware you’re using is out of date and not compatible with the fast speeds. At this moment in time, wireless N is what you’d go for. Avoid older wireless A,B and G equipment as they are dated and may struggle with today’s standards. These are the tips that every wifi user must follow,I am facing slow internet connection and now I am going to follow every point that you have mentioned on this post! Thank You for this post!